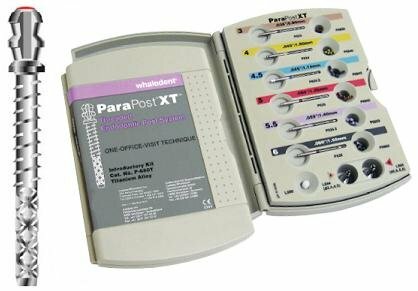 ParaPost XT are threaded, parallel-sided posts with rounded, undercut heads for direct post/core buildups in one appointment. Ideal for glass ionomer and composite core buildups, which require extra retention and extra safety. If you have any questions about this product by Coltene/Whaledent, contact us by completing and submitting the form below. If you are looking for a specif part number, please include it with your message.